You might remember the brilliant Tim Kinnaird from MasterChef a few years back? The one with Tim, Alex and Dhruv Baker in the final three and Dhruv ended up winning? 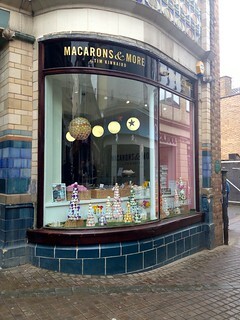 Well, after the show, Tim went on to develop his own patisserie business, Macarons & More and recently realised his dream by opening his very own shop, by the same name, in the Royal Arcade, right in the centre of the fine city of Norwich. 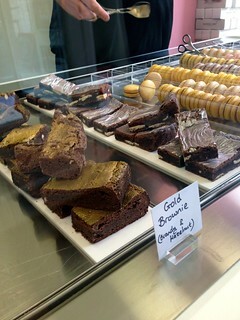 In addition to the fabulous selection of macarons you will find the ‘more’ which certainly exceeds expectations! 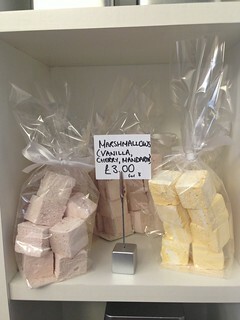 You’ll find flavoured marshmallows, meringues, pastries, bread, amazing brownies, hot chocolate, nut brittle and lots more! 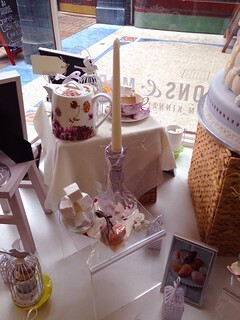 You can also buy a fantastic coffee or tea to drink in or take away to compliment your sweet goods. 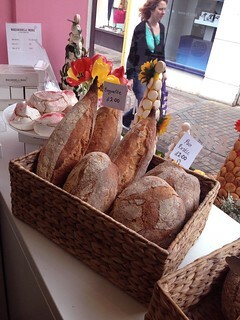 Artisan bread comes from a brilliant local baker. 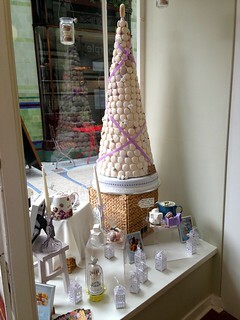 The shop displays and windows are beautiful, inspirational and made to make your mouth water! 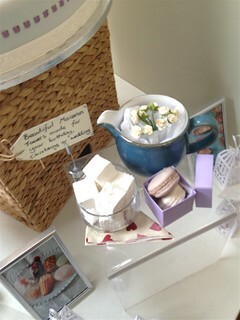 My selection of macarons were the perfect chewy texture, full of flavour and gorgeous to look at. 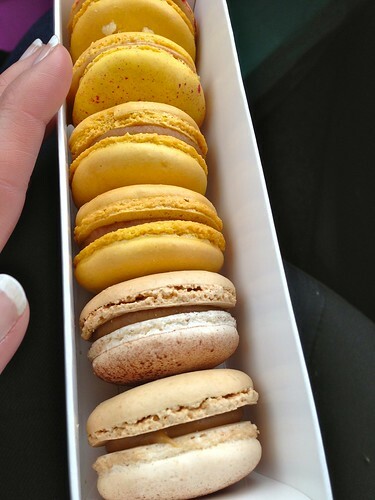 After much deliberation I went for peanut butter and jam which is a classic combination but utterly perfect in a macaron, salted caramel which was buttery, creamy and slightly salty and cappuccino which had a great coffee kick to it. 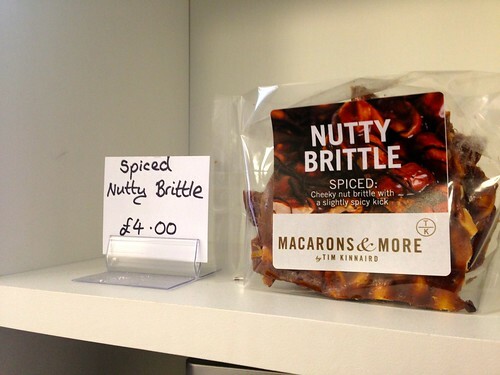 If you can’t get yourself to Norwich, you can buy online or find Tim’s Macarons & More at the BBC Good Food Show Winter 2013, handily overlooking the MasterChef theatre!